So my kids are heading into their tween years… Many of the gifts we give are CD’s, DVD’s, computer games, Wii games and the like. So I thought some gift boxes that I could quickly cut out would be in order. There is both a CD case size and a DVD case size (which also fits Will games). And a bundle of both together (which is a great deal if you buy it now during the new release sale). Both have 3 options for decorative trim. 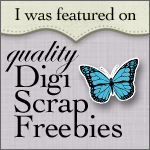 They are very easy to embellish with regular or digital scrapbooking supplies. For my CD case sample I used the Paisley Partridge digital kit. Christmas is right around the corner – I guess its time to start planning! This entry was posted in Cutting Files and tagged Cutting files, DigiChick on November 15, 2012 by Cathy.